Way back before excavators became so popular (who would have thought they never were), the world of moving dirt was confined to a few items of well-designed and efficient dirt-moving machines: scrapers, dozers, loaders, backhoes and track loaders (based on a dozer). Back as far as the 1980s and ‘90s, there were still a few of the track or crawler loaders working as the base machine for many earthmoving contractors, but excavators and dump trucks have since taken over that role. Of the several makes of crawler loaders on the market through from the late ’60s, none were more reliable, robust, efficient and popular than the Caterpillar crawler loader range. Caterpillar made several models of crawler loader (in Australia back then we called them traxcavators). Sizes varied but started at the 10-tonne Cat 933 right up to a 35-tonne model – the size of a D8 dozer. When the opportunity came up for me to have a go at a really old Cat 941B crawler loader which dated back to the early ‘70s and was still in going condition, I jumped at the chance. Located in central western NSW and up for resale, I didn’t have much time to get to the little rural community before the rig was to be loaded up and moved on to its new owner. I was able to catch up with the current owner but regretfully he was unable to give me any real insight into the history of this old girl. He had procured it at a clearance sale auction on a rural property and it was barely in working order. 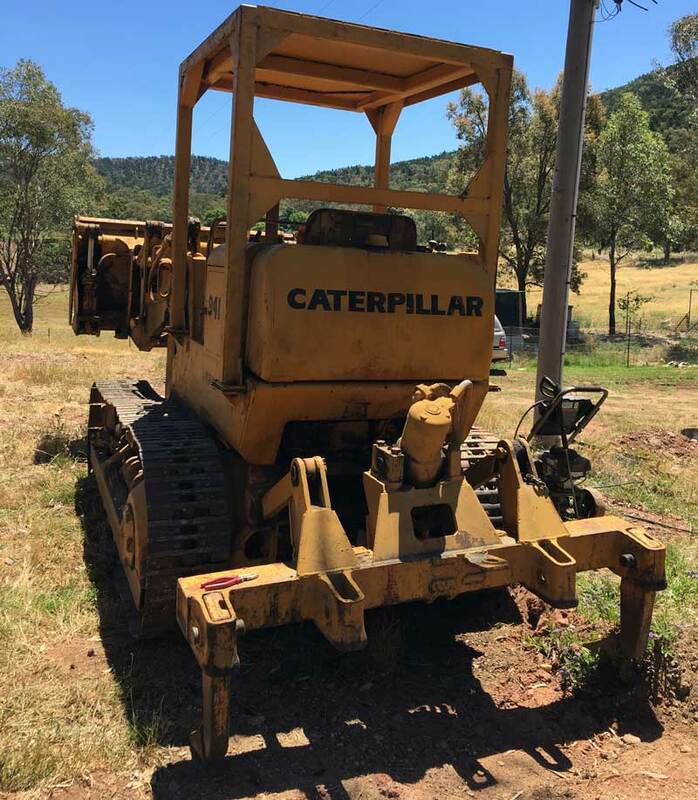 He brought it back to his property in NSW, tidied the old Cat 941B up enough to get a heap of work done on his acreage, and put it up for resale. Needless to say, because these old girls are very popular and can still deliver a mountain of work in a week for a small outlay, the machine was snapped up in a matter of days. On close inspection I could see that this was a very early model, albeit a ‘B’ model. In the US, Cat started producing the 941 range way back in 1968, closely followed by production in Japan and France a year later. My guess is that this machine was US-made in 1971/72 and still ran the 80H manufacture prefix. Production of these machines ran out at 16,500 units and production ceased at the end of 1980, so whichever way you look at it this is definitely an old girl and, in this condition, surely worthy of preservation in a museum. 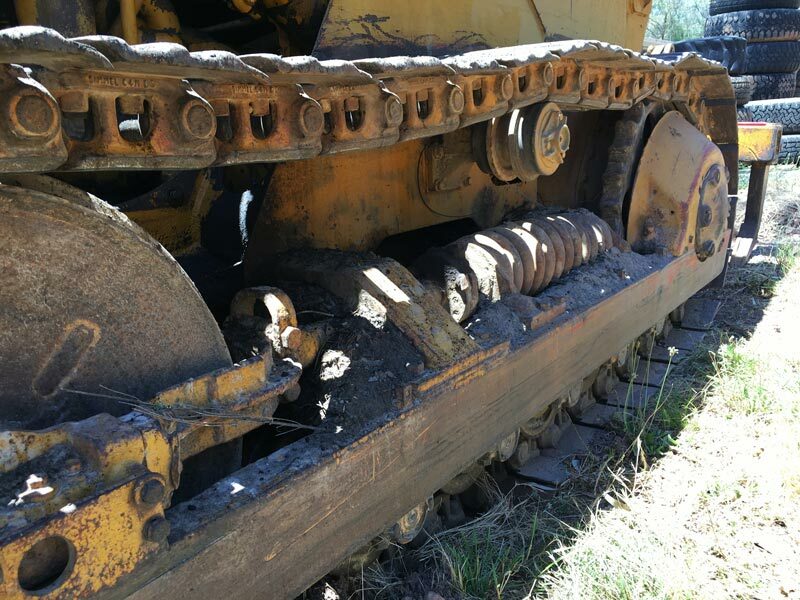 To my surprise, this crawler loader was in very good condition for its age. Back in the day, enclosed cabins were made available to very few machines and were more directed to excavators. 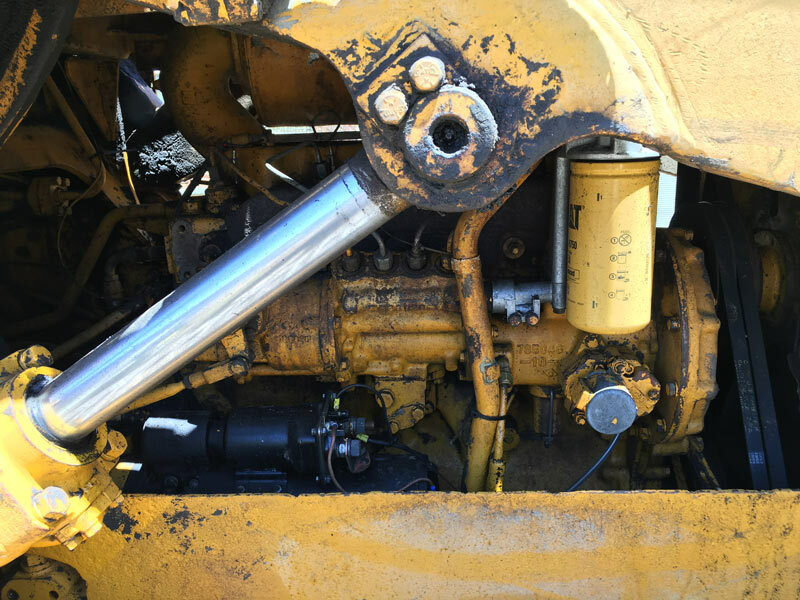 Dozers, loaders and scrapers were still commonly found with open cabs and the Cat 941B was no different. I couldn’t find any identification on the ROPS structure but at least someone had built a good canopy for the operator’s protection. 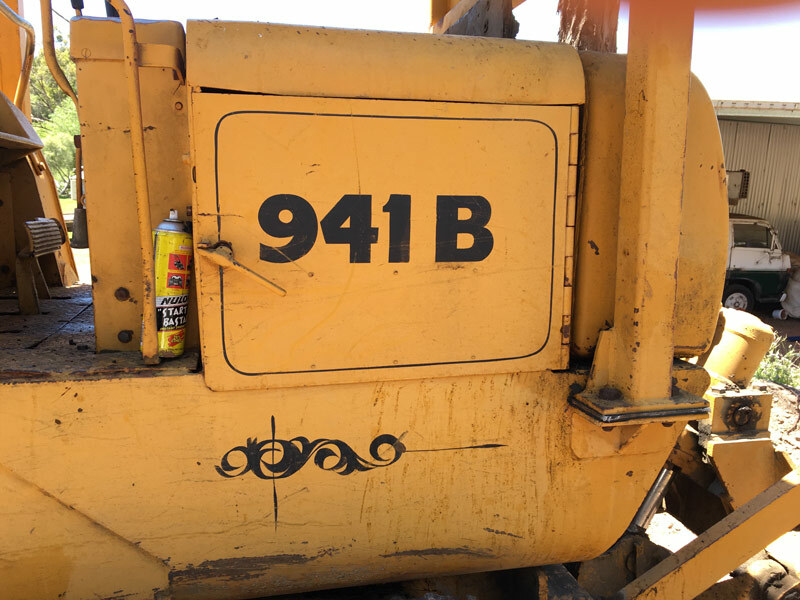 It was also apparent that someone, in the machine’s recent life, had made a good paint job and completed some necessary repairs to the old girl ... it looked very smart considering it was an on-farm tractor for many, many years. Track plates were a touch worn, track chains had been replaced and had plenty of life in them, rollers good but track adjusters were from another era. Overall, the body was in good shape – a few small dents from wear and tear but overall a tidy piece of Australian/US Cat history sitting here before me. These things are more bulletproof than wheels! The open-cab style of the Cat 941B is very sparse, basic and foolproof. 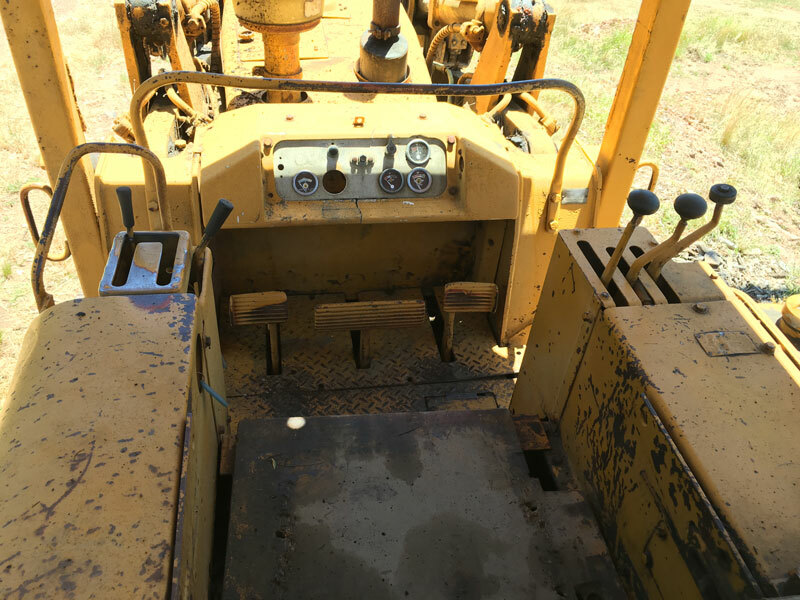 Typical of Cat, it has stood the test of time and even a rookie can see that it is a Cat just from looking at the dashboard arrangement. The operation of the 941 is very similar to a Cat dozer, albeit with some small but necessary changes. This machine is the PowerShift transmission version with three forward and three reverse gears located on the left side of the operator’s seat. Beside the gear shift is the manual throttle where you just screw it up to the required revs required and leave it there until you are ready to shut it down. On the right side of the operator’s seat are the load and dump control levers and also one for the rippers. The beast’s direction is controlled with the left and right steer pedals located on the floor along with a full brake, which is located central to the steer pedals. Located above the dashboard is a solid handlebar used not only to assist the operator in gaining access and removing his fat bum out of the seat but for protection against brush or vegetation coming into the open area. As I said previously, the gauges are minimal and basic but effective, and that’s about all you could hope for in those days. The engine bay was a ‘not so pretty picture’ as the owner was in the midst of pressure washing the machine prior to sale, but we could see that it had new belts, filters were changed, starter motor had been recently been out and replaced, and the usual telltale signs of old oil leaks were prominent throughout. The engine is the Cat 4-cylinder D330 producing 70 or 80 flywheel horsepower (depending upon the model) but still about the 7-litre or 427-cubic-inch mark. Weighing in at 11-tonnes-plus, with a bucket capacity of about 1 cubic metre and a flat-out speed of 11km/h, you could see why, for its time, the Cat 941 model was definitely worthy of its pioneering status. In the early days there was very little that could come close to a good, solid day’s production pushed out by a good operator on a good tracked loader. Every successful general earthmoving contractor had a track loader in its fleet and the 10-15 tonne machines were by far the most popular. If you didn’t have a low loader or tag-a-long you could always just drop the 10-tonne rig in the back of your tipper and away you went. A very common practice in those days! You could cut out a house block, push scrub or vegetation, rip, push or load rock, load out trucks, move material around the site, operate in all conditions and tow a vibrating roller – all with the power of a dozer. 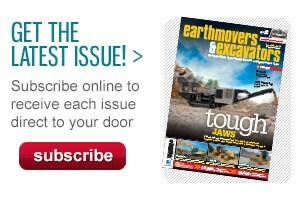 These earthmovers were the pick of the fleet for many contractors, and rightly so. I had operated several Cat track loaders early on in my career and had not even come close to conquering the final trim precision of many of the great track loader operators of the day. You may wonder why they are no longer popular as they once were. 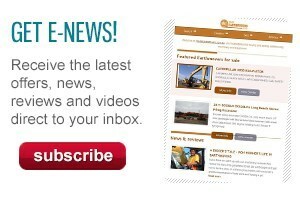 Well, excavators came onto the scene and proved to be more efficient in many circumstances. With the influx of hydraulic attachments available, they took over from the track loaders – but only to a certain point. Cat still makes crawler loaders and they are still popular in certain areas, especially in landfill operations. 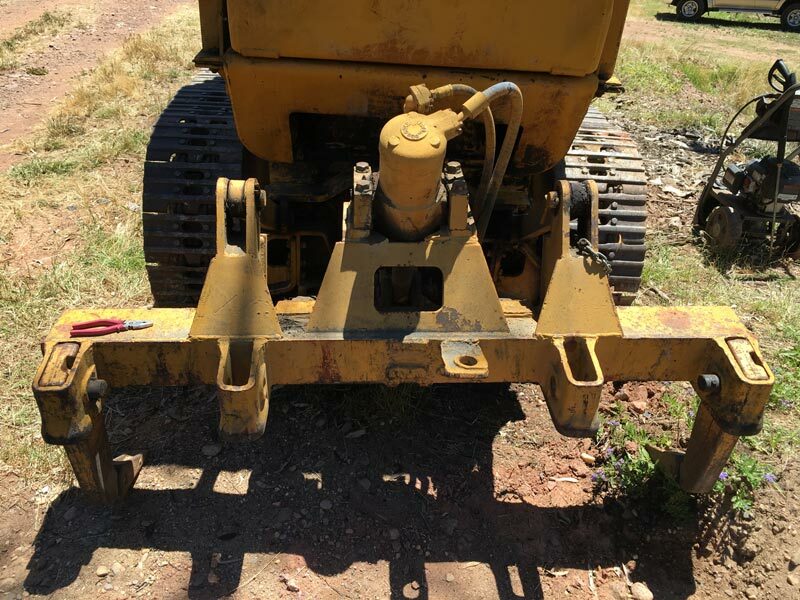 If we take note of the technological changes and advancements to the skid steer loaders and tracked loaders of today, we can see the resemblance from those old Cat crawler loaders of yesteryear. So we could say that track loaders haven’t disappeared, they have merely morphed into another version more suited to today’s conditions and clients’ requirements. 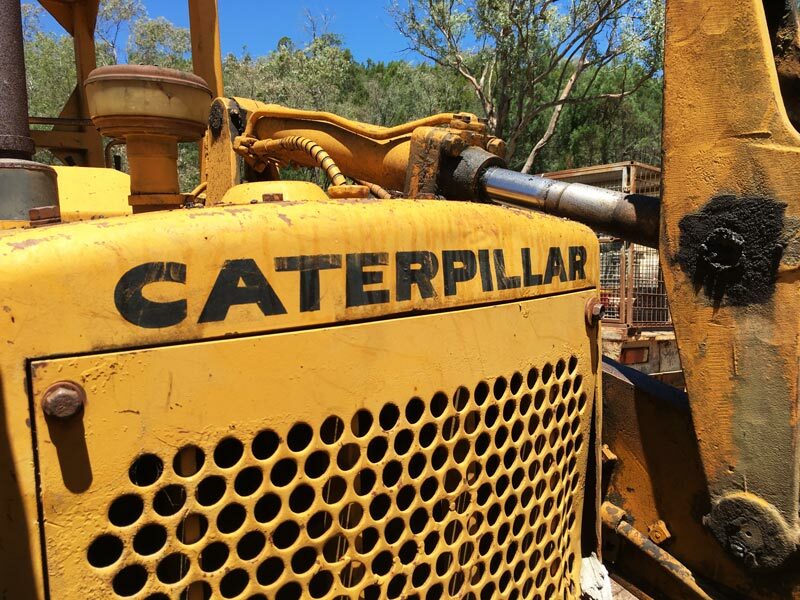 But this old girl was a pioneer in Australian earthmoving’s early days and has nothing left to prove except that, with a little TLC, she can still prove her worth for her new owner on any day. I’ve said it once and I’ll say it again: "Cat ... built to be rebuilt!"